So, as if there wasn’t enough going on, the Competition and Markets Authority (CMA) unexpectedly weighed in this week with its study into the supply of legal services to consumers and SMEs. This will be widely derided in the profession as more unwarranted interference from those outside the law (ie, they don’t know what they’re doing). Certainly, coming on top of the government’s previously expressed enthusiasm to make it easier still for non-legal organisations to offer legal services and to cut lawyers out of low-value personal injury claims, along with Lord Justice Briggs’ preliminary finding this week that a lawyer-free online court should be created for many claims worth less than £25,000, there does seem to be an unprecedented anti-lawyer narrative emerging. And with 10,000-plus solicitors’ firms, plus other regulated firms of various hues, and thousands of barristers, not to mention the many unregulated businesses in the market because of the limited scope of the reserved legal activities, how could anybody could seriously argue that, especially in the ABS era, there is a lack of competition in the law? The CMA, though, isn’t arguing that. It is concerned about the ‘quality’ of that competition and whether the market actually works well for consumers. Quantity is not, of itself, an indicator of good competition. For those who legitimately argue that competition is not the be-all and end-all when it comes to services which support justice, let’s put it another way. To my mind, the core question the legal profession needs to ask itself is this: why is there so much unmet legal need? This has been evidenced by various pieces of research among consumers and SMEs. If the market was operating properly, would this happen? And the reason there is unmet need is not because of a lack of providers, but other reasons, such as cost and a ‘fear’ factor in dealing with the law and lawyers. There are deeper questions here too around whether the law is actually more complicated and remote than it needs to be, the legacy of an era when, frankly, the legal profession thrived through the mystique of a system that it had largely devised. The CMA explains: “Where consumers are unable to assess the available information on price and quality and therefore whether providers offer value for money (ie balancing price and quality), they will be unable to make informed purchasing decisions. The CMA continues: “Consumers who lack adequate information on price and quality may receive poorer deals in the market. For example, a consumer may pay more than was expected for a service or be supplied with a poor-quality service. “We will consider whether current regulations provide adequate protection to consumers. In addition, we will consider whether consumers are able to obtain redress should things go wrong with their legal services provider. The CMA adds: “Many of the regulations that apply to legal service providers are primarily designed to protect consumers from harm. However, it is possible that these regulations may, in some circumstances, go beyond what is necessary to protect consumers and, as a consequence, may dampen competition in the sector through raising barriers to new entrants and/or restricting the ability of incumbents or new entrants to innovate in the market. This last objective is, effectively, a mini-review of the Legal Services Act, a full version of which Lord Chancellor Michael Gove has already promised will take place during this Parliament. I look at these three themes and think there are areas for improvement. But the profession should not view this study as simply another lawyer-bashing exercise; in fact, it opens up the opportunity to finally get some traction on what to me is the central issue that causes the whole regulatory tangle: the list of reserved activities. Is it good for consumers that if you need a will, say, or advice on an employment issue, you can walk into the office of an unregulated legal services provider and be utterly exposed in terms of consumer protection, or happen instead to go next door to a solicitors’ firm and have gold-plated protection as standard? It is widely acknowledged that consumers simply assume that all legal services providers are regulated, so surely this is an issue the CMA will take up. Of course, regulation of all legal services is not the only solution, but to date the Ministry of Justice has been reluctant to address this problem at all. There are also questions to be asked about how the Legal Ombudsman is running. 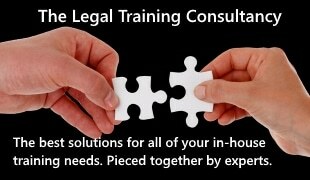 For the first few years, it seemed like the piece of the Legal Services Act that was working best, but in the last year or so we’ve had a governance break-down, an admission that it has not focused enough on the quality of its decision-making, and a continually falling workload (which surely reflects that the requirements on lawyers to deal with complaints themselves in the first instance are actually working well). Though its budget is falling, the £1,800 cost per complaint still seems very steep. 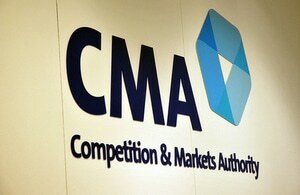 The CMA’s is just an initial study, hence the ludicrously short timescale for responses, and it may be that nothing much comes out of it – although let us not forget that it was a report into competition in the professions by its predecessor body, the Office of Fair Trading, 15 years ago that began the process that culminated in the 2007 Act. I can understand that the profession will feel under attack given all that is going on, but it has some cogent arguments to make that will make the operation of the market better for all. Whether they will be listened to, though, is another thing altogether.